fluctuation with the surge and lighting protection unto 2000 V.
ering the video output at the resolution of 2.0 Mega pixels. Equipped with the superior quality megapixel fixed lens, Unit is designed for the high risk applications especially for outdoor conditions & places with harsh environmental conditions owing to the ingress protection rating of IP 66. The unit is incorporated with wide dynamic range function, hence can be used for the locations with varying lighting conditions. The near infra red (NIR) technology helps to boost image & video quality especially in the dark as well as low light conditions, hence the clear images are transmitted without loss of details. The special electrical circuitry insures stability for locations with power fluctuation with the surge and lighting protection unto 2000 V.
CAMETRON CT 320 25 IVB 76WN is varifocal IR Bullet network cctv camera with the mega pixel vaifocal lens oering the video output at the resolution of 2.0 Mega pixels. Equipped with the superior quality megapixel varifocal lens, It is best option for high risk applications especially for outdoor conditions & places with harsh environmental ambience owing to the ingress protection rating of IP66. The unit is incorporated with wide dynamic range function, hence can be used for the locations with varying lighting conditions. The near infra red (NIR) technology helps to boost image & video quality especially in the dark as well as low light conditions, hence the clear images are transmitted without loss of details. The special electrical circuitry insures stability for locations with power uctuations with the surge and lighting protection unto 2000V. 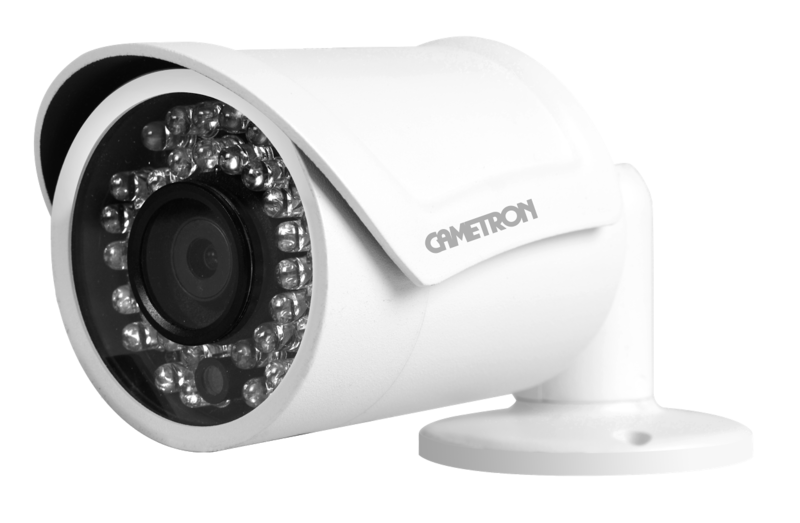 CAMETRON CT 320 35 IVB 76WN is varifocal IR Bullet network cctv camera with the mega pixel varifocal lens offering the video output at the resolution of 3.0 Mega pixels. Equipped with the superior quality megapixel varifocal lens, It is best option for high risk applications especially for outdoor conditions & places with harsh environmental ambience owing to the ingress protection rating of IP 66. The unit is incorporated with wide dynamic range function, hence can be used for the locations with varying lighting conditions. The near infra red (NIR) technology helps to boost image & video quality especially in the dark as well as low light conditions, hence the clear images are transmitted without loss of details. The special electrical circuitry insures stability for locations with power fluctuation with the surge and lighting protection unto 2000 V.
CAMETRON CT 320 41 MBI 72 WU is mini IR bullet starlight network camera with the mega pixel fixed lens offering the video output at the resolution of 4.0 Mega pixels. Equipped with the superior quality megapixel fixed lens, Unit is designed for the high risk applications especially for outdoor conditions & places with harsh environmental conditions owing to the ingress protection rating of IP 66. The unit is incorporated with wide dynamic range function, hence can be used for the locations with varying lighting conditions. The near infra red (NIR) technology helps to boost image & video quality especially in the dark as well as low light conditions, hence the clear images are transmitted without loss of details. 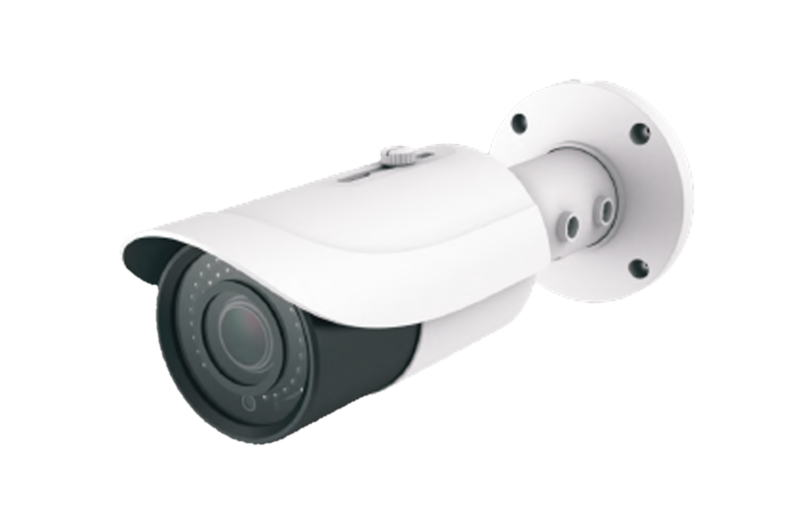 The special electrical circuitry insures stability for locations with power fluctuation with the surge and lighting protection unto 2000 V.
CAMETRON CT-320 22 MBI 76 WH is the full HD motorized IR bullet network camera with the resolution of 4.0 Megapixels. Equipped with the superior quality varifocal megapixel lens of 2.8~12 mm, the unit is designed for the high risk applications especially for outdoor conditions & places with the harsh environmental conditions as the unit is IP 66 rated. The unit is incorporated with wide dynamic range function, hence can be used for the locations with varying lighting conditions. The near infra red (NIR) technology helps to boost image and video quality especially in the dark as well as low light conditions, hence the clear images are transmitted without the loss of details. The special electrical circuitry insures the stability for locations or applications with power fluctuations with the surge and lighting protection unto 2000 V.